This Kiddush cup is a beautiful addition any Shabbat and holiday table. 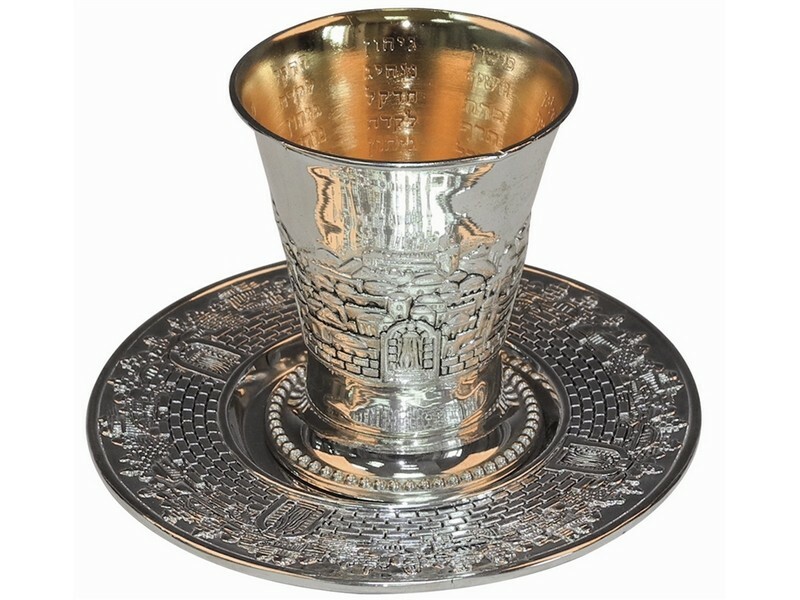 Silver plated with the skyline of Jerusalem as its décor, this Kiddush cup has a majestic look. Kiddush cup has a slightly curved rim and comes complete with a coordinating round saucer. Makes a beautiful centerpiece and will surely enhance your Kiddush ceremony .